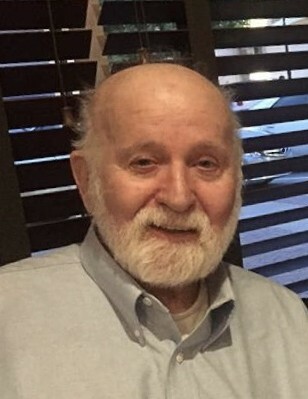 Ronald Allen Hollen, 78, of Russellville, passed away Sunday, March 31, 2019 at His home. The son of Wilbur and Ellen Wiese Hollen, he was born April 26, 1940 in Cleveland, Ohio. He was an Honors graduate of The University of Arkansas receiving his Master’s Degree. He was a United States Navy Veteran. He worked in Training and Development with Entergy and Aramco. He was an accomplished musician, song writer, artist, devoted husband, father and grandfather. He was a member of the Professional Artists and craftsmen association and the Song Writer's Association. He enjoyed woodworking, writing short stories and novels, gardening, mechanics, pottery, ham radio operating, foreign languages, reading, car shows, spending at the lake and boating. He was preceded in death by his wife Joyce and his parents. Survivors include a daughter, Karen of Clear Lake Shores, Texas and a grandson, Patrick Harrington and wife Holli of Bryant. Cremation arrangements are under the direction of Humphrey Funeral Service.